It’s a dangerous thing to give up hope altogether. Without hope, what reason do we have to live? But somehow we must also be careful to not have so much hope that we lose sight of the reality in which we live. As the last few days have been difficult, I find myself today trying to find that perfect balance between the hope of a future without illness and the reality that some days it is impossible to get out of bed. 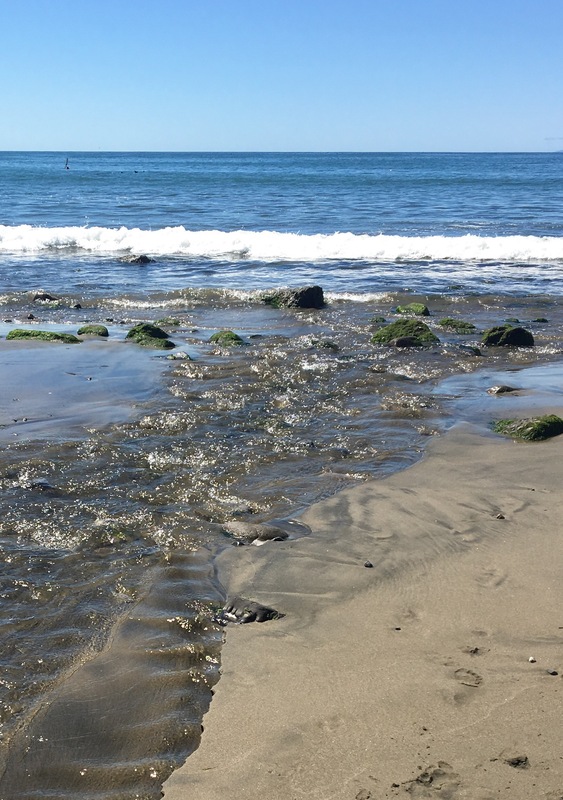 There is a point on the beach in Pacifica where a freshwater creek meets the saltwater of the ocean, proving that opposing forces can peacefully co-exist. If the waters of the earth can find balance – then so can I. That balance comes when I accept the challenges of today while hoping for improvement tomorrow.